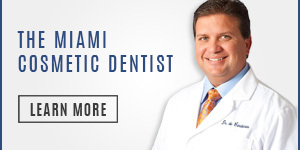 Miami’s Dr. Andres de Cardenas and his staff of caring, concerned professionals want you to know when you walk into their office you’re not just seen as a patient, but respected as an individual who has options in the kind of dental care they receive. That’s why a diagnosis of periodontal or gum disease does automatically mean that you have to lose your natural teeth. There are options. 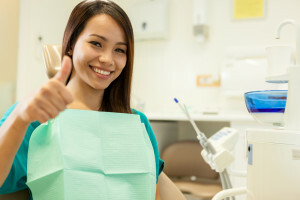 Periodontal scaling and root planing or cleaning are two procedures used concurrently that produce one of the most effective means of combating gum disease. Periodontal scaling is a process used to remove plaque and tartar down to the bottom of the “periodontal pocket” that forms with the onset of gum disease. Root cleaning or root planing smooths the tooth’s root surface allowing for the gum tissue to heal and makes it more difficult for plaque to build up on the planed surface. Because periodontal scaling is a deep cleaning, Dr. de Cardenas generally starts by numbing the gums. However, as each person is different, Dr. de Cardenas has a discussion with each of his patients regarding the management of their discomfort. The periodontal scaling is performed using either a small instrument called a scaler or an ultrasonic cleaner. Using the same instrument, the root surfaces of the teeth are then planed. Antibiotic fibers might be inserted into the pockets between the teeth and gum to speed healing and to reduce the chances of infection. Dr. de Cardenas’ scaling and planing treatments along with proper dental care after the treatment have shown to be highly effective in treating the progression of gum disease allowing patients to keep their natural teeth. 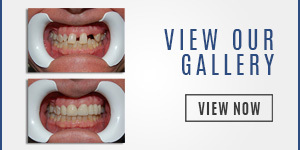 Scaling and Root Cleaning in Cutler Bay is a highly effective treatment for gum disease. However, it can be difficult to understand how the treatment is performed and what to expect once it’s over. 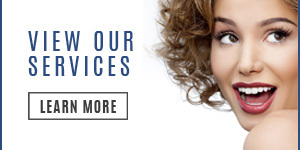 If you’ve been diagnosed with gum or periodontal disease, Dr. de Cardenas invites you to come in for an appointment. You can contact us using our convenient email form and we’ll get right back to you, or simply call us at (305) 251-3334. Talk to Dr. de Cardenas and learn more about periodontal Scaling and Root Cleaning in Cutler Bay as a treatment of your gum disease. Also when you sit with Dr. de Cardenas you’ll experience the difference between being treated as a patient, and being a treated as a part of the family.